We have a great turn out for this year’s workshop! I am excited to meet you all (and to catch up with the returning students)! We’re going to have a great day working on our craft and learning about the business of writing in genre. To keep the critique group ratios the same, we have added more professionals to the faculty roster. Check out the list at the bottom of the workshop page to see who will be sharing their knowledge and expertise on workshop day! Submissions have closed for this year’s workshop. 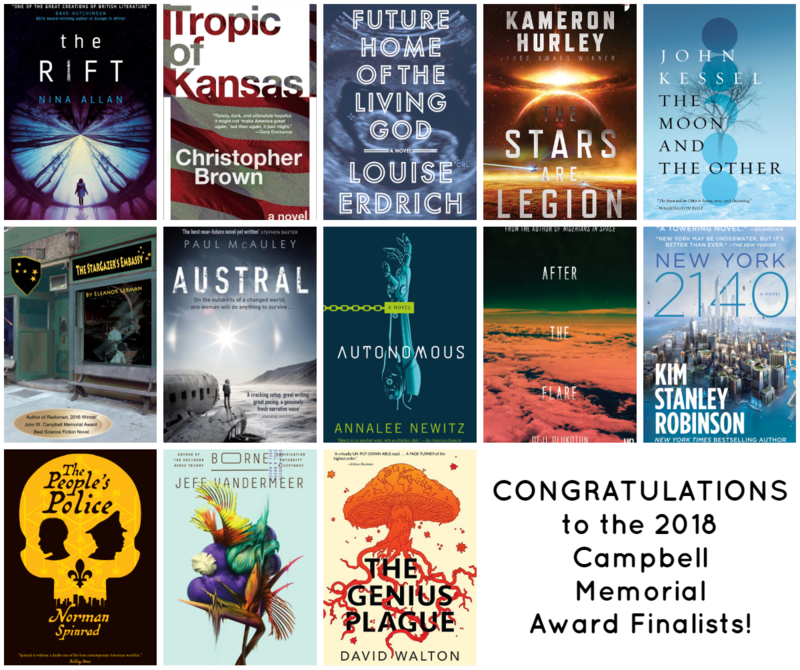 Former ArmadilloCon Toastmaster Kim Stanley Robinson and former panelist John Kessel are also among the finalists. The award is given out by the University of Kansas Gunn Center for the Study of Science Fiction. The full list of nominees is on their website. Rosemary Valero-O’Connell has agreed to be our Artist Guest. We’ve listed our current program participants. Watch this page, since more participants will be added later. We’ve added teachers to our Writers’ Workshop faculty, including several of our major guests.